While we tend to think of the U.S. when we look at the automobile industry, we do need to start considering Latin America as a major player. Over the years we have seen a significant number of U.S. automobile companies creating new operations in Latin America and indeed a number of European companies have also "landed". 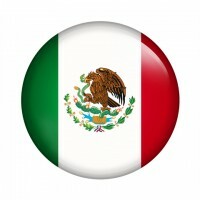 Therefore it will come as no surprise that electric vehicle companies are now pushing electric vehicles in Mexico, which is in many ways the centre of the Latin American automobile sector. Over the last two years we have seen a significant increase in investment in Mexico, unemployment is down and the economy is relatively strong. However, despite the fact that in many ways this is a "dream scenario" from an economic standpoint, the take-up of electric vehicles has suffered from the same issues associated with the European market. So what are electric car companies looking to do to improve popularity in Mexico? While Nissan is not always a name you would readily associate with Latin America, there is no doubt it does have a growing base in the region. The company, together with Toyota, totally dominates the electric vehicle market around the world although a combined sales target of 1.5 million electric vehicles by the year 2016 appears a little more than ambitious. So what is Nissan doing to increase the visibility and awareness of electric vehicles in Mexico? The company has been working on a taxi project since 2010, with the first Nissan Leaf Mexican taxis delivered in October 2011. Historically, many electric car companies have headed up such projects only to fall by the wayside once the vehicles are delivered but the situation with regards to this particular project is very different! As well as supplying the Nissan Leaf electric vehicles, the company has also led the way in building an enormous charging warehouse in Mexico City. The operation allows 50 Nissan Leaf vehicles to be charged at any one time, thereby ensuring that there is as little turnaround time as possible for this groundbreaking electric taxi service. While the company will obviously create some kind of return on the sale of these vehicles to the taxi operation it is the long-term public relations benefits which are more valuable. Not only will people actually be able to undertake journeys in electric taxis but they will be more visible than ever before thereby ensuring that motorists are more comfortable with the concept of electric powered vehicles going forward. Even though the vast majority of automobiles manufactured in Latin America are exported to the likes of North America, Europe, etc., the fact is that Latin America is a large enough car market in its own right. As economies in the region continue to prosper, with more disposable income available than ever before, there is a ready-made market for electric vehicles forming in the region. When you also take into account the environmental benefits of electric vehicles you would not be surprised to see Latin American governments pushing electric vehicles even more than their European and North American counterparts.